Available in different colors including gray, red, green, and white. For 3/4 inch wide tape on a 1 inch core. Compartments for accessories including pens, clips, pencils, scissors, etc. 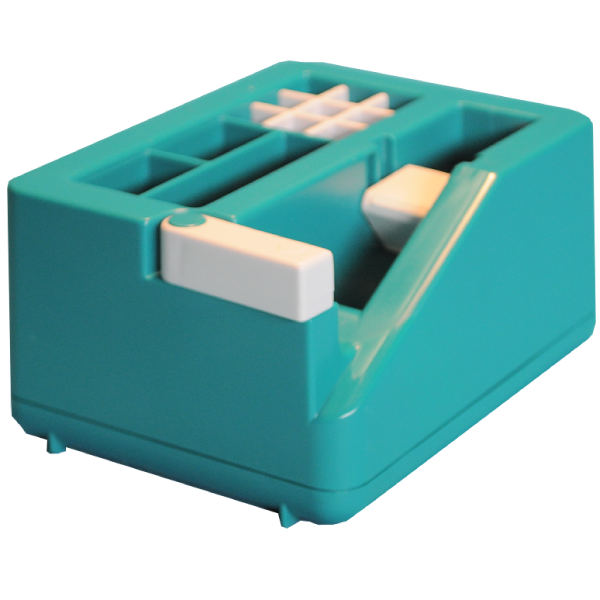 A small, attractive desk organizer with multiple compartments for small parts, paper clips, thumb tacks, push pins, pens, pencils, scissors, or any other objects. 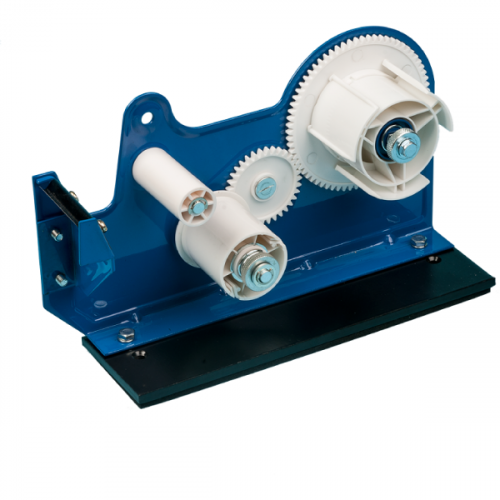 Also has built-in tape dispenser for 3/4 inch x 1296 inch roll on a 1 inch core. Blade protector, weighted base, and availability in red, green, gray ,and white makes this dispenser an attractive addition to any office or retail environment.